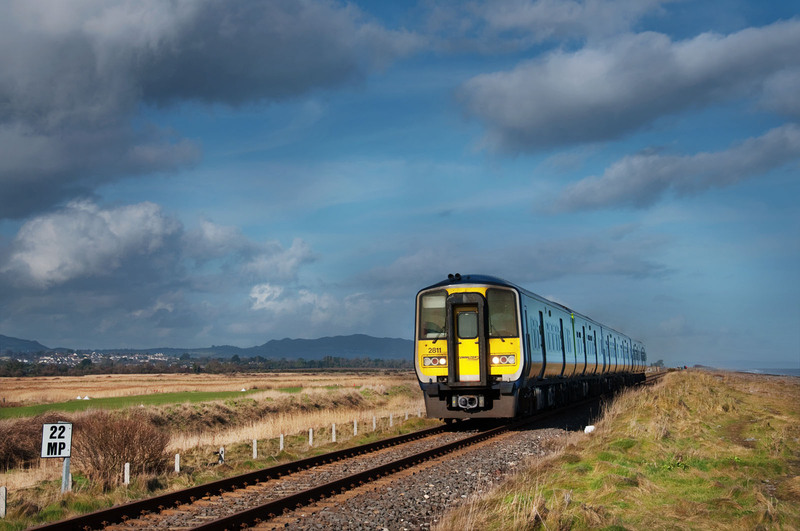 Kilcool Station was opened on 30th October, 1855 on what was then known as the Dublin, Wicklow and Wexford Railway. The new line followed the coast rather than crossing inland, separating the station from the village by about a mile’s journey. An inn or two in the village continued to cater to guests even with the decline and disappearance of the stage route which had previously been a mainstay of the village proper. Since its construction, the rail line has suffered continual damage from sea storms. Newspapers from the late 1800s contain many accounts of storms washing away part of the tracks, and the heroic efforts of line crews to restore service. A full service railway station was originally built at the beach, staffed by a full time stationmaster. This stone building was destroyed in a storm in 1895 and replaced with a wooden structure. During the early 1900s, a proposal to re-route the line inland was considered but never adopted. Traffic at Kilcoole declined during the automobile era and the station closed in 1964. Thankfully for the village, the platform re-opened in 1980 and in recent times has seen a rise in commuter traffic with trains stopping five times a day.